Dogs love to play outdoors and explore. It’s an essential part of their exercise regimen, but you can’t always be out there to watch them. An underground electric dog fence is an excellent solution. It will take some getting used to — roughly two weeks — and there are crucial training tips to follow. These will ensure your dog’s comfort and that they become acclimated to their new boundaries. Your dog will first need to understand the new boundaries. Once your electric dog fence is in place, use a leash to walk them toward boundary flags. For the first week, always use a leash while exploring. Go to each boundary flag, so they can become familiar with the warning on their collar. Do this for six days; on the seventh, use a longer leash to see if they go past the boundary. 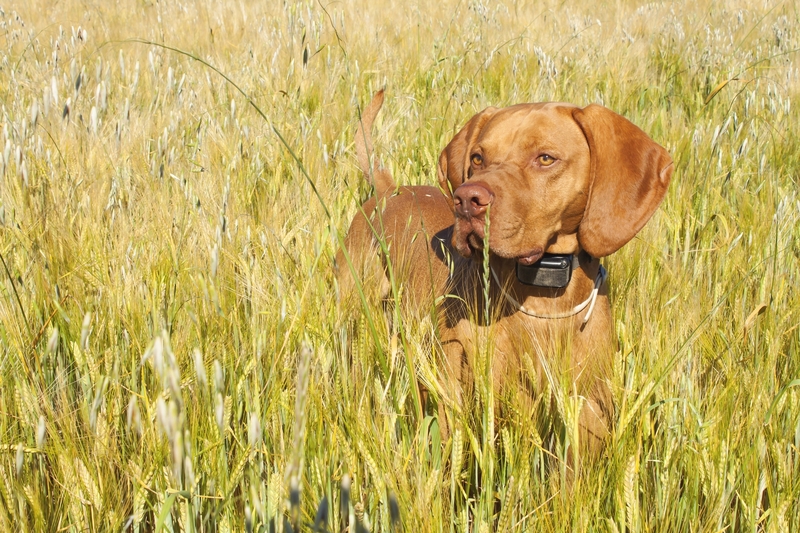 As you get your pet comfortable with the boundaries, use the electric dog fence collar. Make sure it fits comfortably and program it to a low setting. As they explore the boundaries, the collar will respond if they go past. Gradually, they’ll understand that passing the flags results in the shock and will visualize and respect the entire boundary. By the second week, your dog should be familiar with the boundaries. Now, you’ll need to train them to avoid distractions. For the first several days, allow them to explore on their own, keeping the leash on them. Stand outside of the flag line. If your pet follows, reprimand them. As they become acclimated, walk away out of sight to see if they follow. If not, begin removing the flags each day until none remain and the dog is obedient to the boundary. By training them to ignore distractions, they won’t be tempted to chase other animals or run up to people passing by. Unseen Fencing of Kentucky is committed to ensuring electric dog fence owners have all the assistance and products they need. Serving customers across Elizabethtown, Prospect, La Grange, and beyond, they carry a variety of pet fence accessories and offer comprehensive pet training for new hidden fence owners. They bring over 23 years of experience, and you can count on a dedicated team member to work with you to ensure your dog’s comfort and safety. Call (502) 595-8426 to speak with a representative and visit their website to learn more. You can also connect on Facebook for news and updates. How Do Wireless Dog Fences Work?